The deadline for submission of abstracts has expired and the platform is now closed. Many thanks for all the contributions. All submissions will now be anonymously reviewed by the reviewing comittee. Introduction/aim, material and methods, results and conclusion will be rated. Each reviewer also gives an overall evaluation. EHS would like to thank the Board of Reviewers for their valuable support and continuous collaboration. 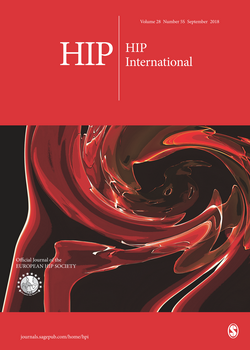 The corresponding author will be notified about the acceptance status of submitted abstracts by mid-May 2018. 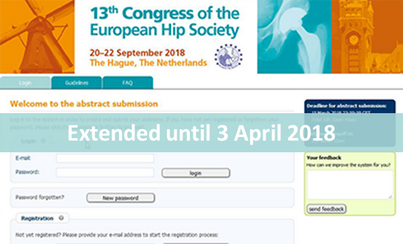 The presenting author is required to register for the Congress before 30 June 2018. Authors may view their contribution on the abstract platform. Submit your abstract according to the submission guidelines by 15 March 2018 3 April 2018. The reviewing takes place in April 2018. In May 2018, the programme is being finalised. Afterwards, all presenting authors will be informed automatically (presumably June 2018).